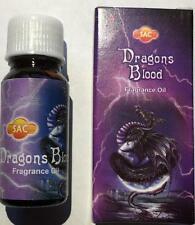 SAC's Dragon's Blood Fragrance Oil! SAC's 10ml Patchouli Fragrance Oil for Charms, Spells, Mojos! OPO Sandalwood Essential Fragrance Oil! Magical Aromatherapy by Scott Cunningham! OPO's Dragon's Blood 10ml Fragrance Oil for Spells, Ritual, Mojos! Complete Book of Incense, Oils & Brews by S Cunningham! 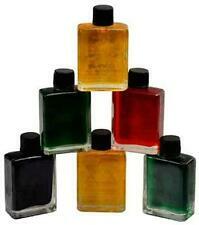 Twelve Assorted Bottle SAC's Best Fragrance Oils! Wolf Japanese Raku Oil Bottle! Raku Tree Fairy Oil Jar and Pendant! Raku Pentagram Oil Jar and Pendant! Celtic Knot Jar Pendant for Charms and Spells! Raku-Style Peace Sign Oil Bottle & Pendant! One Bottle SAC's PINE Fragrance Oil! 10ml Bottle of HEM Mystic Amber Fragrance Ritual Oil! 10ml Bottle of SAC Cinnamon Fragrance Ritual Oil! Little Green Dragon Brand "RAIN" Massage Oil! OPO Nag Champa Fragrance Oil! OPO Rose Oil for Charms, Spells, Mojos! OPO Patchouli Oil for Charms, Spells, Mojos!